Marq Aurel & Rayman Rave are back! Together with the likeable New York entertainer & singer Will G. This is considered in the scene as a musical all-rounder and is well known by the TV show "The Voice ..." and various hits from the 90s. 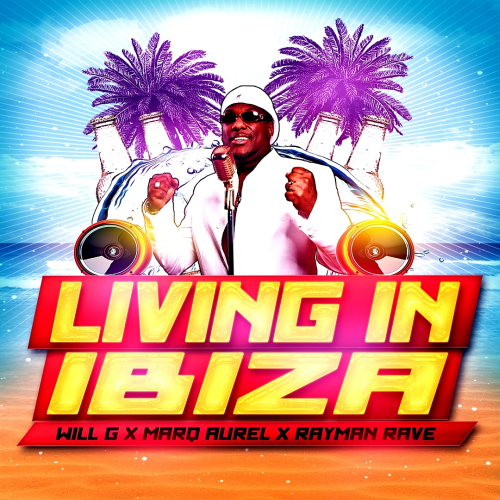 For the summer song "Living In Ibiza" the two producers return to their typical beach party house style and rock together with Will G., who wrote the song. Will G., who is also known as Will Williams, can already look back on various successes: So he worked u.a. at A.K.-S.W.I.F.T., Pulsdriver, Layzee (Mr President), Chrizz Morisson, Tosch, BG the Prince of Rap, A.Voltage and many other productions as songwriter and singer. He was also in the studio with Franz Trojan (Spider Murphy Gang) and some titles were released on the well-known compilation Bravo Hits on CD. Through his legendary uncle Al Green ("Put A Little Love In Your Heart"), Will G. became the youngest member of the World Platters with whom he toured for 3 months. All in all, Will G. is a true all-rounder and the right size for the song "Living In Ibiza".